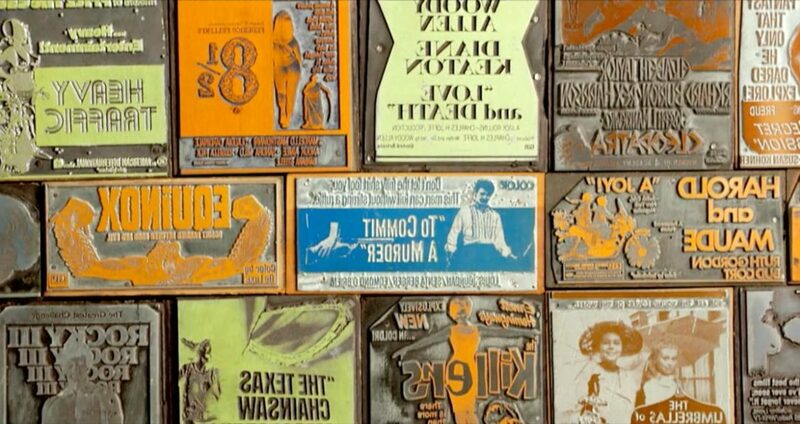 The Collection is a short documentary about two friends in Omaha, Nebraska, DJ Ginsberg and Marilyn Wagner, who in 1999 got for $2,000 the complete inventory of one of the two approved manufacturers in the USA that made the engravings that allowed the reproduction in letterpress of the advertisements of films published in newspapers. The entire collection of over 8,000 plates and 50,000 blocks begins with silent films and ends in 1984. When newspapers stopped using letterpress for offset printing, the manufacturer from Omaha closed. The find had remained for 15 years in the backroom of an antique shop in cardboard boxes. Time had left a layer of white powder that adhered to the remains of ink that only with vinegar they have managed to eliminate it. Since then there has been an intense work of documentation and cleaning. In 2015 the collection was valued between $8-12 million. The documentary does not show entirely but rather leads the viewer to deduce the main motivation of so much effort: their passion for cinema and its influence on people’s memories. However, the audiovisual, of impeccable quality, which seems almost a teaser of something greater, leaves many unknowns. How did they know about the collection? What compelled them to acquire it? What will be the next step once the inventoried work is finished? At different times they talk about their intention to obtain economic return. By documenting this endearing story we have discovered the website of DJ and Marilyn with which we have been able to make some connections. DJ used to work with the company that manufactured this material and has extensive knowledge of letterpress and offset since the 80s. Everything points to the intention of the owners to sell it in an indivisible way to a single buyer. Their hope is that these plates can be printed again. In this sense their website shows the advantages of acquiring the collection and breaks down how to get about 60 million profit if, for example, limited editions of 400-500 units are printed at $45 per copy. One of the sections of the website, where they detail the potential of the investment, they say about this material, “Not buffeted by industry regulations / No royalty fees”. Nothing is explained about it, only these brief statements. One of the weak points of this great collection are the legal issues of the reproduction of the films’ posters and the permission that distributors would have with a business at the expense of their products. Furthermore, another disadvantage of this type of engravings is they are easily reproducible if you have the image of the desired poster. Apart from economic issues, it is admirable that they have undertaken such an effort and dedication to rescue from oblivion a small part of the history of cinema related to the world of graphic arts, and more specifically, letterpress. 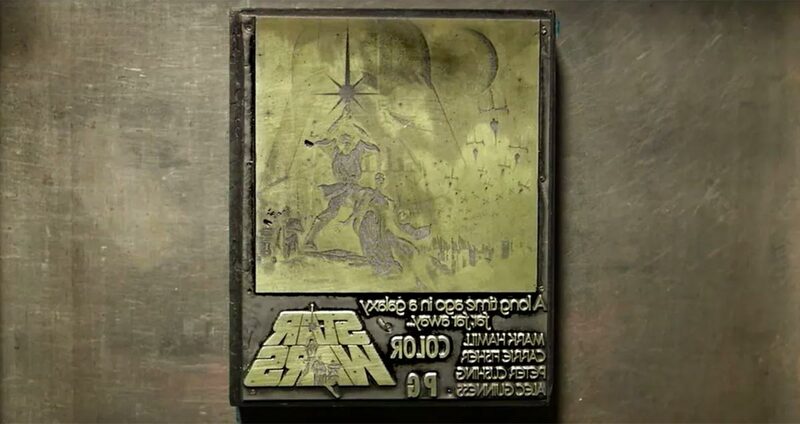 Especially if we take into account that in 1999 it anticipates the rebirth of this type of printing that would rebound with special force in the middle of the first decade of the 21st century.